This is quite modest in comparison with some of his other projects, but that does not mean he didn’t take as much care over the detail as he did with all his other work. One could say exactly the same today. 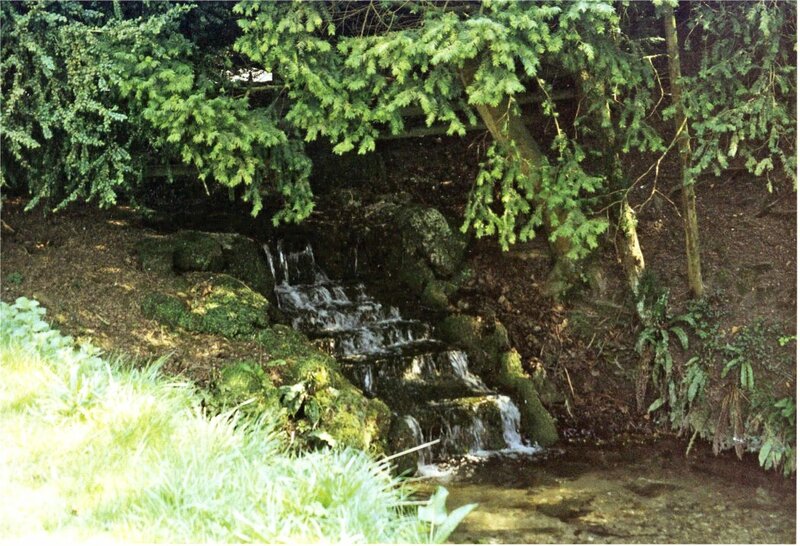 The approach road to the church at East Lockinge runs over the bridge spanning a small stream that tumbles down over a stepped cascade just inside the boundary of the park, as shown in Fig 3. 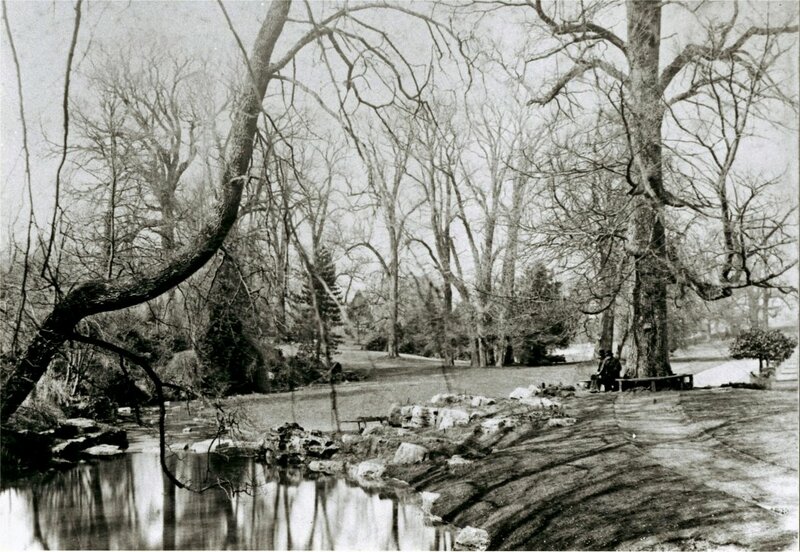 The stream then winds along the bottom of its shallow valley until, nearing a bend, one can see the first signs of another of James 2’s beloved ‘cliffs and waterfall’ features – pictured here in Fig 4, which looks back across the stream at the shallow cascade and boulders from a point very close to the one from which the picture in Fig 1 was taken a century ago. From here, the stream continues under another pathway that leads up to the charming old church, pictured here in Fig 5. 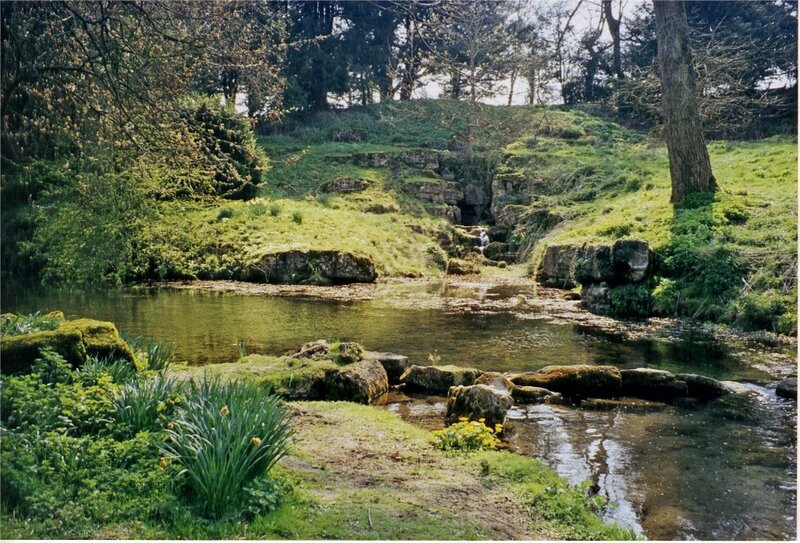 Posted on September 1, 2012 June 4, 2016 by Claude HitchingPosted in Sites Month 2Tagged Baron Wantage of Lockinge, cliffs for Alpines and Ferns, East Lockinge Church, Lady Overstone, Lockinge, Robert Loyd-Lindsay, rocky stream, Roderick Murchison, waterfalls. Interesting – from where have you found the quote from Robert Murchison, what year and publication date? Hallam’s 1900 account of East Lockinge suggests that Murchison certainly was at the site as he supervised the removal of a fossil find which occurred when the building was being extended. It was taken to the museum of practical geology in Jermyn Street. However it has been difficult to fix a date on that. 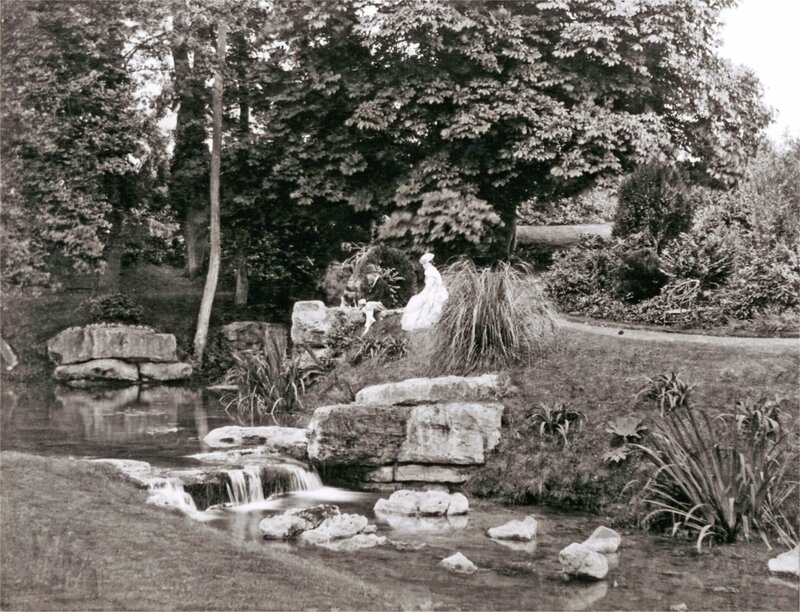 Lord and Lady Wantage began radically improving Lockinge Manor in the early 1860’s and Murchison died in 1871. Sarah Ellis’ writing maybe helps fix the date on improvements.